It started as a fake trailer in the grind house double feature called Grindhouse. 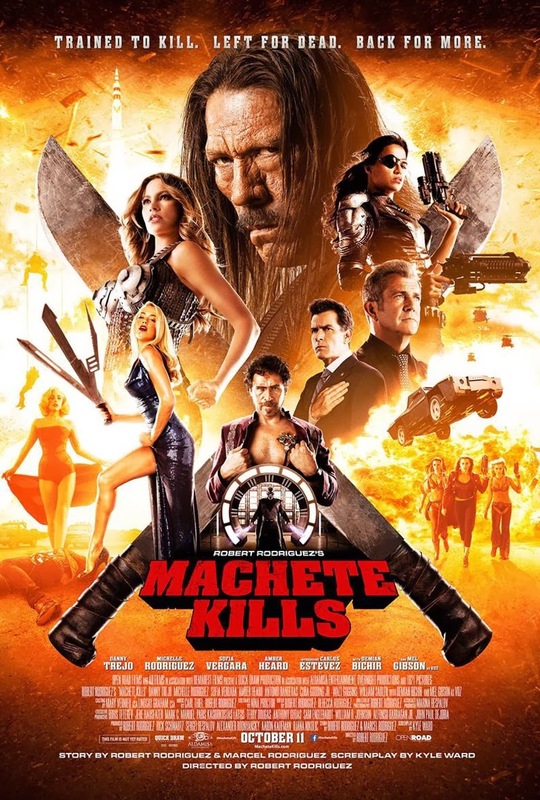 Then Robert Rodriguez came with the brilliant idea to make an actual movie out of that trailer. And it was glorious. Action packed, over the top, ridiculous but a lot of fun. In this sequel they tried to top that and for some reason they failed. I can't put my finger on it why that is exactly. Perhaps it's a little too much. Or you come to the realization that the joke has run it's course long before the film ends. In any case there is a lot of eye candy and it does not waste time to go from event from event. There is a lot of silliness going on and I do like that in movies that don't take them seriously. Only wished some of the jokes had been stronger. This is one you will watch, enjoy and then immediately after completely forget about it. If you ask me you are better off watching the original again and skip this one. But if you like this one you will definitely appreciate the original a whole lot better.